1. Tourism Visa (T) is issued, with a single entry, to foreigners who will visit Cambodia for a short stay of 30 days. Validity is 3 months from the issuing date. It is issued within 48-72 hours (2-3 working days). - Please note that nationals from some countries shall apply for a visa prior to departure (See point IV). - Moreover, passport holders of some countries listed below are exempted from visa (See point VII). - This visa (T) can be extended only once for one month at the Immigration Department of the Ministry of Interior. It is highly recommended to extend the visa one week before its expiration. It is recommended to persons who will stay more than one month to apply for the visa prior to departure. This visa will be issued within 48-72 hours (2-3 working days). Business visa (E) can be extended at the Immigration Department of the Ministry of Interior, situated in the opposite of the Phnom Penh International Airport. It is advisable to extend it one week before its expiration. 3. Courtesy Visa (C) is reserved to people playing an important role in non-profit areas of bilateral cooperation, non-profit registered International Organization in Cambodia. 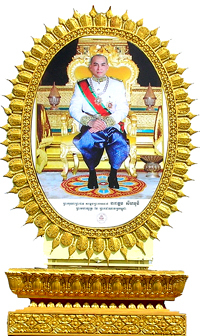 It is issued on the express request of relevant services with the attached documents, including agreement with Ministry of Foreign Affairs and International Cooperation of the Kingdom of Cambodia. The concerned person should be present himself or herself at the consular service of the Royal Embassy of Cambodia in Paris and bring an official letter or verbal note of request following the formalities (as specified in point III). It takes 72 hours (3 working days) to issue it. Beyond this deadline, this visa can be renewed on a written request submitted to the Ministry of Foreign Affairs and International Cooperation of the Kingdom of Cambodia. 4. Diplomatic or Official Visa is reserved to diplomatic or Official/Service Passport holders upon presentation of a diplomatic note or an official letter issued by an empowered institution. This visa is issued with free of charge for a stay of an official mission to Cambodia, not exceeding 90 days. Beyond this deadline, this visa can be renewed on a written demand submitted to the Ministry of Foreign Affairs and International Cooperation. It will be issued within 72 hours (3 working days). 5. Special Visa (Visa K) with multiple entries is valid until the expiration of passport. It is issued exclusively to Cambodian nationals claiming for a dual nationality, holding a valid the foreign passport. The presence of the concerned person is required at the Embassy in Paris. It will be issued within 48-72 hours (2-3 working days). - Family record book indicating the filiation. The each document must show that the applicant has a Cambodian parent (criteria for obtaining the visa K). All travelers need a return ticket or leave the territory without which the boarding at the airport or the entry to Cambodia by land or by boat may be probably denied. 2. A recent photo ID to stick on the form. 5. A diplomatic note for holders of a diplomatic or service/official passport. - Tourism Visa (Visa T): 30 € in cash + 5 € for chancery fee. - Business Visa (Visa E): 35 € in cash + 5 € for chancery fee. Phone: +33 (0) 1 45 03 47 20. 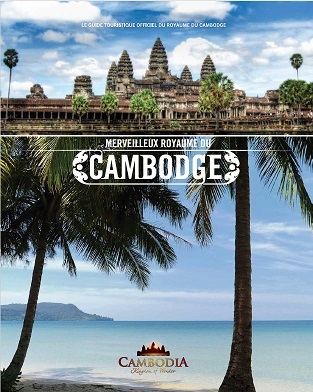 - Payment by cheque in Euros (€) only payable in France for any request by correspondence, payable to "Ambassade Royale du Cambodge". 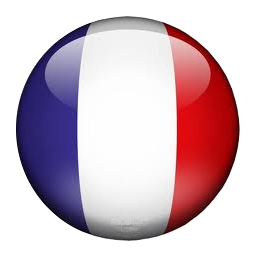 - For request outside France, To know about the payment process from abroad, please contact the Embassy through: E-mail: click on the “Contact Us” Tab, or Phone: +33 (0) 1 45 03 47 20. From abroad, it must be sent by international courier (DHL, TNT, UPS etc ...). * If you do not receive the passport within 10 days from your request, contact the Embassy by 01 45 03 47 20. Please be informed that the Consular Section is not in any case responsible for the quality of the postal service. It is up to the concerned person to use the most appropriate method of mailing. 1. A visa, regardless of category, is issued only on a valid passport six (6) months after the date of exit from Cambodia. 2. The tourism visa (T) cannot be modified and does not authorize the exercise of a job in Cambodia. Exceeding your stay may result of a fine of 10 USD /day. at the Ministry of Foreign Affairs and International Cooperation for holders of diplomatic, service/official or courtesy visas. at the Immigration Department (Service for Foreigner) of the Ministry of the Interior, located in opposite of the Phnom Penh International Airport, for other visas with additional charges. 4. Visa fees paid cannot be refunded. 1. The visa service is open from Monday to Friday from 09:00 AM to 1:00 PM. 2- The filing of the visa application does not entail any obligation from the part of the Embassy of Cambodia to issue a visa. The latter reserves the right not to issue a visa. 3. A visa before departure must be issued by the Royale Embassy of Cambodia in Paris for passport holders from the following countries: Afghanistan, Algeria, Saudi Arabia, Bangladesh, Iran, Iraq, Pakistan, Sri Lanka, Sudan and Nigeria. This visa is aimed at facilitating the arrival of visitors without an entry visa. However, it is recommended to obtain the visa of entry from one of the diplomatic or consular representation of Cambodia nearest the departure, in order to avoid a wait at the arrival to fill out the form and pay the visa etc. The traveler without an entry visa can obtain it directly on arrival, upon presentation of the passport, valid for at least 6 months, a return ticket or leave the territory, a recent photo. A form has to be completed on site. 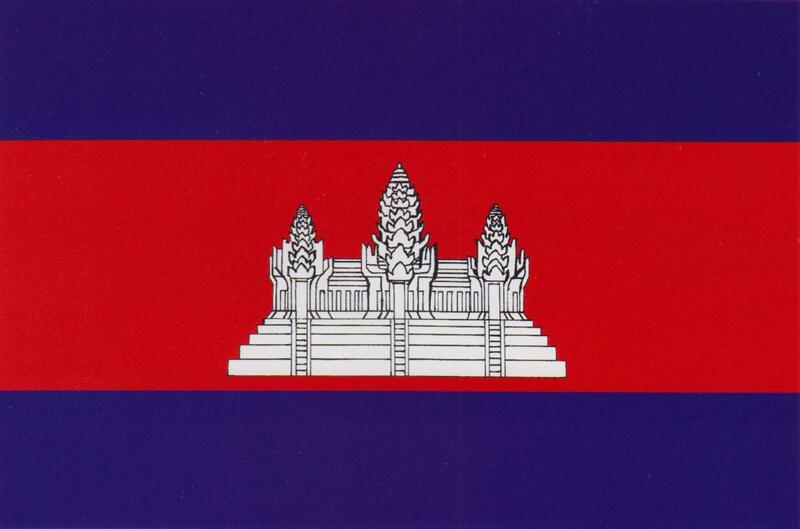 - This is only one website of E-Visa of the Government of the Kingdom of Cambodia. - This E-visa does not allow entry by all land border crossings (check the list). Please check before applying it. The electronic visa service is directly managed by the Ministry of Foreign Affairs and International Cooperation of the Kingdom of Cambodia. The Embassy of Cambodia in Paris cannot in any circumstances intervene on this site. The Ministry of Foreign Affairs and International Cooperation (M.F.A.I.C) of the Kingdom of Cambodia has identified some fraudulent websites offering e-visa services. In case of doubt, please click here.